Commercial Garage Door Openers - Grove City Garage Door®Inc. 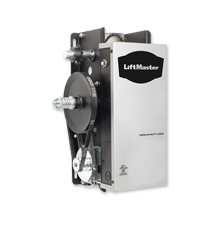 Grove City Garage Door Inc. carries LiftMaster commercial garage door openers. Grove City Garage Door Inc. is a Factory Authorized Dealer of Liftmaster garage door openers. 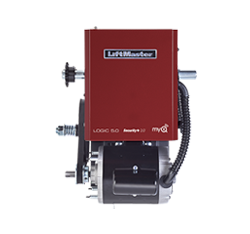 LiftMaster commercial garage door openers are reliable, they perform quietly, and they are energy efficient. ​The Model MT Medium Duty Trolley Operator is designed for use on standard lift sectional doors up to 14 feet high and up to 12 cycles per hour. 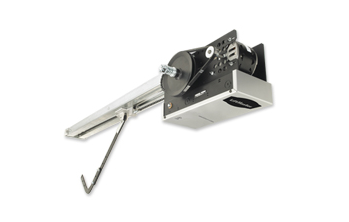 Jackshaft Commercial Garage Door Opener (J) is optimal for industrial applications. Doors used with this opener should be balanced with the ability to be manually lifted by hand in an emergency or power outage. The operators are typically mounted to the wall when used with smaller sectional overhead doors with a vertical or high lift and mounted to the wall or the front of the hood when used with rolling doors and grilles. J operators are attached to the door jackshaft to indirectly drive the motor.